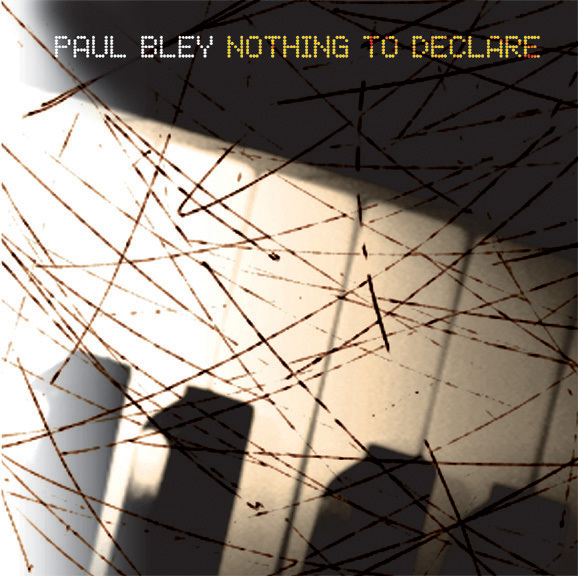 Arguably, pianist and composer Paul Bley is at his best on his solo outings. It's not that his ensemble music is lacking in any way; it may even be more sophisticated. But in his solo settings, Bley truly allows the listener in on his sound world, his manner of lyric thinking, his conflicts, his ideas of silence and its place, and his dialogues with the music and their outcome. Nothing to Declare is his fifth solo outing for Justin Time. There are four pieces, the shortest of which is over eight minutes long. In these long solos, Bley doesn't just stretch out; he rambles across ideas in song and in musical history; he approaches concepts and techniques with the same weight he does his innate pointillistic lyricism. His engagement of the blues is everywhere present but not always apparent. His beautiful meditation on Jerome Kern's "All the Things You Are" cuts across notions of jazz, popular song, and classical notions, while his "8th Avenue" pays a beautiful and engrossing tribute to Fats Waller. "Breakdown" is an excursion into the intricacies of the blues, from its phraseology and tonalities to its elemental song forms and modulations. In all, Nothing to Declare is Bley's best outing for Justin Time thus far. It's simple in its presentation, but labyrinthine in its journeys.